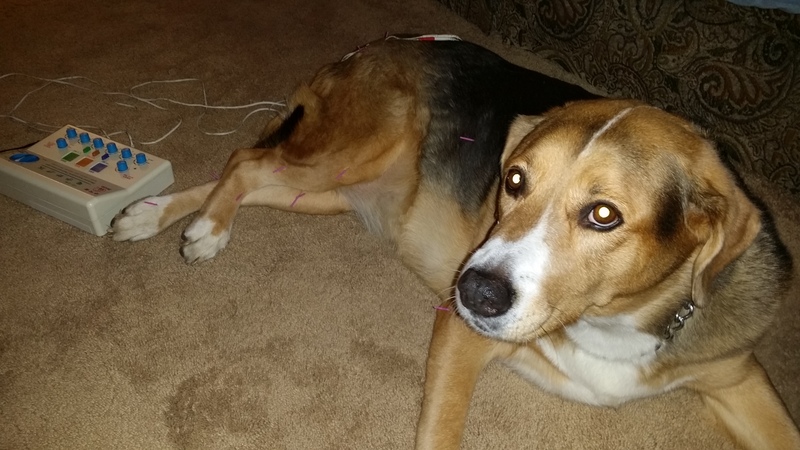 Acupuncture is performed every other week on Sky to relieve pain in her joints. We are excited to offer holistic integrative veterinary medicine. This includes acupuncture and herbal medicine. Acupuncture is a non-invasive treatment for acute and chronic conditions, such as arthritis, spinal injuries, intervertebral disc disease, joint problems and neuropathies. It stimulates acupuncture points along the body’s meridian channels which Qi, or energy flows. It stimulates nerves, muscles and connective tissue, as a result there is an increase in circulation, blood flow and natural endorphins (pain killers). 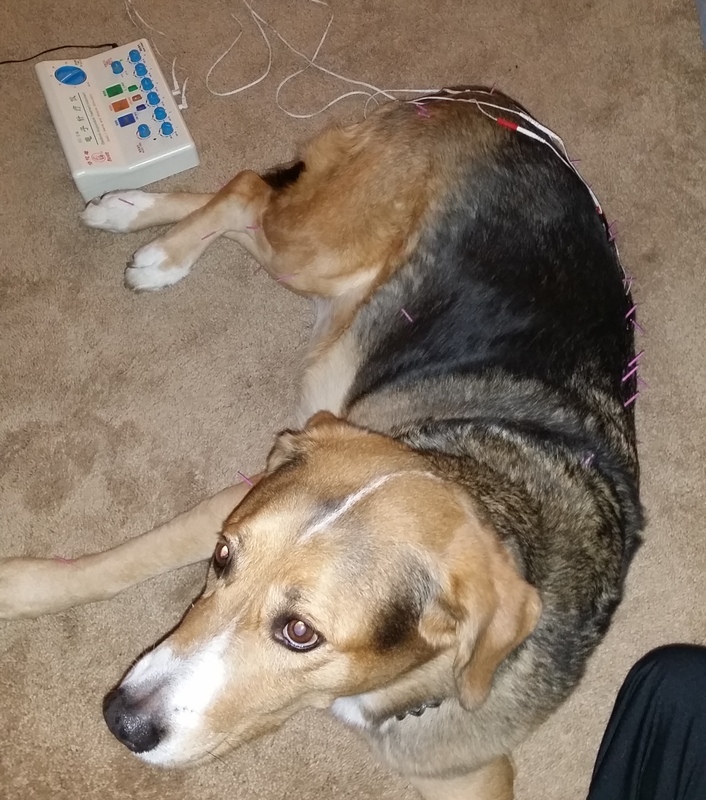 Dr. Armfield performs acupuncture and electroacupuncture on Sky during a house call.